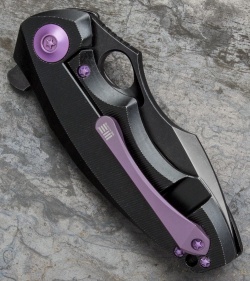 The 605H represents We Knife Co's most compact EDC flipper to date. With a 3" blade and a sturdy titanium handle, the 605 is built strong enough to handle any cutting chore, big or small. The frame lock handle features a reinforced lock bar and an ergonomically contoured grip. 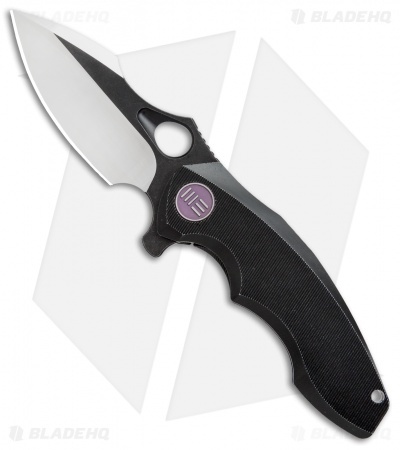 It has a modified drop point blade with a choil and thumb rest for choking up your grip for more leverage. 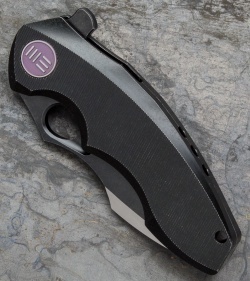 A blade flipper and an ample thumb hole provide diverse deployment options. This 605H model has a black anodized handle and a two-tone finished blade with black flats and polished satin grinds. Compact and sturdy design built for everyday use and carry. 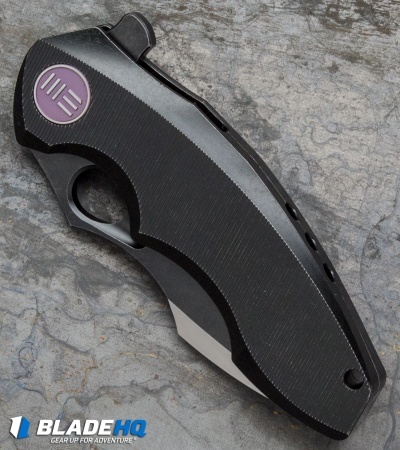 CPM-S35VN blade steel offers extreme strength, edge retention, and durability. Replaceable steel lockbar insert provides rock solid blade lock up that stands the test of time.